We enjoy reading and viewing numerous other websites related to living and travelling in Portugal. The Internet is awash with millions of websites related to Portugal. Some good, some not so! We know, because we’ve trawled many of them. From expat blog sites to enterprise travel and tourism websites – there really is something for everyone. Anyway – take some time out and have a look for yourself. In our opinion one of the best 'micro' blog sites of them all. Fascinating snippets of information backed up with fantastic photography. An informative blog site written by an experienced writer and expat living in Portugal. Definitely one to follow as Julie writes some tremendous articles about Portugal. If you're thinking of moving to Portugal then this blog (and accompanying book) is a must. Years of pre-planning, to eventual move, then move back to the Uk again after many years, makes for an informative and fun read. A fantastic resource for articles and blog posts about hidden gems and great destinations all over Portugal. A clean and easy to read website with dedicated tours and trips to amazing places in Portugal. Links through to quick booking system with its tour provider. One of our sister websites. Douro Valley Tours is focussed on providing comprehensive tours and trips including wine tours and river cruises. Now this took some time! 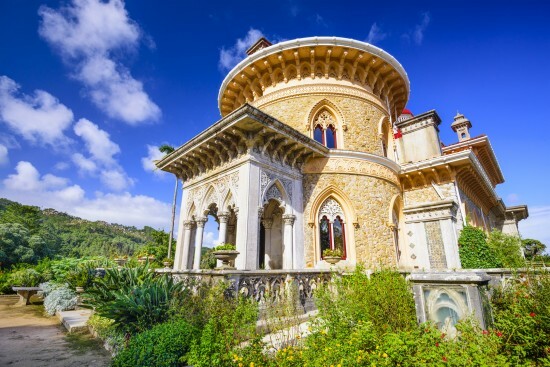 We believe we’ve compiled the most comprehensive list of resources related to Sintra on the web. Feel free to contact us if you want something adding (or removing). There are a variety of megalithic structures around Sintra, due to the fact it has been continuously inhabited from at least the middle stone age approx 8000 BC – 4000 BC) . For a full listing visit http://www.ancient-wisdom.com/portuguese%20megaliths.htm to review Lisboa region.